Although Montana is the fourth-largest state in the U.S., there are less than 15 schools offering accounting degrees and only three schools with Master’s degree programs. However, prospective accountants can choose between schools ranked among the 200 best in the country by U.S. News in 2013, such as Montana State University or the University of Montana. Other schools are listed among the 100 best regional colleges in the West by U.S. News, with Carroll College ranking as the very first among them. Schools such as Rocky Mountain College or University of Great Falls also offer high-quality education that can open the gate to a successful accounting career. Unlike other fields, accounting careers put a great emphasis on education. Remember that the CPA exam that you will have to face in order to obtain your Certified Public Accountant license is an academic examination! The accounting program you attend will have a tremendous impact not only on your chances of passing the examination, but also on your degree of preparedness for the real business world, the amount of experience and knowledge you have, the contacts you make, and your employability as a whole. A program’s accreditation is hugely important to your future career, so make sure you enroll in an AACSB-accredited accounting program. Try to inform yourself beyond what the university websites tell you: national rankings, CPA exam pass rates, graduate employment statistics and student evaluations all hold important clues about the quality of the program. Don’t forget that an accounting program should involve more than classroom-based learning. Look for opportunities to get involved in student organizations, field projects and internships. Real-world experience will help you stand out as a graduate, so make sure your school will offer plenty of opportunities to kick-start your career as a student. It certainly takes determination to work in accounting, especially if you’re aiming for the CPA certification. After years of study and experience, you are faced with a demanding examination; and even as a CPA, you will need to meet educational requirements in order to maintain your license. However, if business and finance are your strong points, the journey will be worth your while. A CPA career can bring you stability, job satisfaction and financial security – a blend hard to come by elsewhere. The first step towards this goal is getting a four-year degree in an accounting-related field. However, this will not be enough for a CPA license; most states will require you to complete 150 credits in accounting and business courses. You will also need to pass all four sections of the challenging CPA exam, as well as to pass an official ethics examination. Depending on your state’s regulations, you will have to gain one or two years of experience in accounting before you can become a CPA. 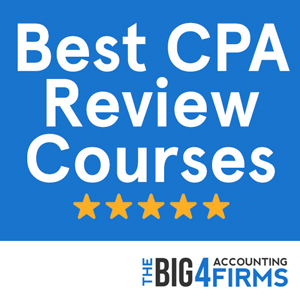 In order to sit for the CPA examination in Montana, candidates must complete a minimum of 24 semester hours in accounting above the introductory level, including courses in financial accounting, management accounting, taxation and auditing. Candidates must also complete 24 hours in general business courses. However, in order to qualify for licensure, candidates need to hold a baccalaureate degree from an accredited school and to have completed at least 150 semester hours. Prospective CPAs also need to pass all four sections of the CPA exam with a minimum score of 75% and to gain at least one year or 2000 hours of accounting experience. While meeting the education and examination requirements is enough to warrant a certificate, candidates need to meet the experience requirement before being granted a permit to practice. With a mean annual wage for accountants and auditors of $63,280 in 2013, Montana ranks below average in terms of accounting pay levels. However, there is a wide gap between pay levels in this profession both between regions and between professionals in the same area. While the highest paid percentile of accountants in Montana earns $99,100 on average, the lowest paid percentile earns just over $35,300. In thriving business areas such as Billings or in Western Montana, the mean accounting salary rises above $70,000; on the other hand, nonmetropolitan areas in the East and center of the state see pay levels drop to $55,000 on average per year. The AACSB-accredited accounting program at Montana State University is on par with the prestigious program at the University of Montana: not surprising as the two universities share the 201st place among national universities according to U.S. News. The undergraduate Accounting Option at Montana State equips students with a broad background in economics, business, statistics, accounting, taxation, auditing and related topics. Students can also choose to complete an internship for additional experience, while a capstone Strategy Seminar gives them an edge in a competitive business world. 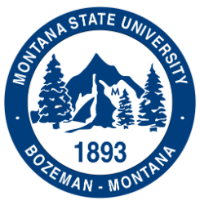 Students planning to become CPAs can pursue the Master of Professional Accountancy degree at Montana State University. Boasting a first time CPA exam pass rate three to four times higher than the national average, this high-quality program equips students with advanced accounting and research skills. Good graduate placement rates and a comprehensive curriculum with elective courses that allow for flexibility make this program one of the best in the state. Listed as the 201st among national universities by U.S. News, the University of Montana offers a prestigious AACSB-accredited accounting program at both the undergraduate and graduate levels. Undergraduate accounting students gain expertise in a wide range of topics such as taxation, auditing, corporate reporting, cost management and information systems. Lab and internship experience helps students enhance their employability. The University of Montana also features a well-regarded Master of Accounting program. 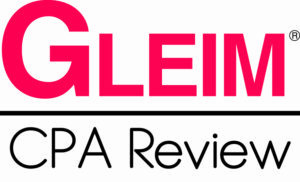 With a 90% graduate employment rate and CPA exam pass rates well above the national average, this program is an excellent choice for students looking to embark on the CPA track. In addition, this one-year program is the only one in the state with a separate AACSB accreditation. Students are taught by certified instructors and benefit from opportunities for practical experience, extra-curricular activities and study abroad programs. The course curriculum provides an advanced and flexible education with a wide range of electives in business, accounting and entrepreneurship.